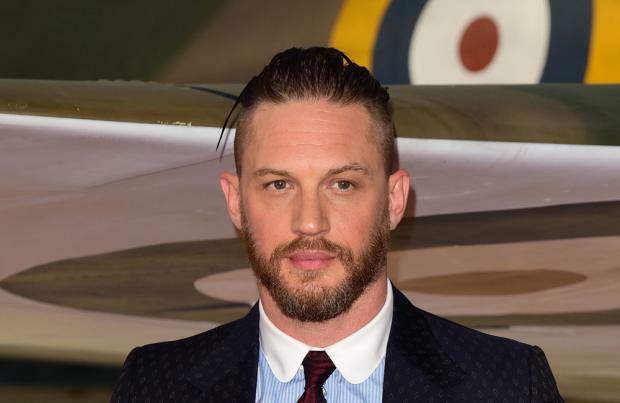 Tom Hardy is writing a rap album. The 40-year-old actor has been putting pen to paper on some rap and grime tunes for his debut solo record, and has enlisted the help of former David Bowie producer Sam Williams to work on the tracks. A source said: "Tom has always had a huge passion for rapping ever since he was a young boy. "In the past he's put song- writing on the backburner but just recently decided to pick things up again after building a friendship with producer Sam Williams. "They've been busy working on a selection of songs together for an album and it's really starting to get some steam." A number of big record labels, including Warner Music, are said to have shown an interest in picking up Tom's tunes, but he is "a bit tentative" about dropping the tracks. The source added to The Sun newspaper: "Tom's a bit tentative about releasing it for the world but big labels including Warner have already shown an interest in picking it up, so there is real potential for it to hit the charts." In January, fans of the 'Venom' star got to hear some of his work when his 1999 rap mix tape 'Falling on Your A**e', which he recorded under the name Tommy No 1, was leaked online. In the tape - which also featured Ed Tracy, who went by his DJ name Eddie Too Tall - Tom can be heard rapping along to the 'Godfather' theme tune. Tom - who began rapping as a teenager - has made no secret of his lyric spitting ability in the past, previously revealing he had recorded "loads of stuff", and worked with Grammy-winning producers Warren Riker and Gordon Williams. In 2011, he said: "I used to be with the guy who managed Leela James and Lauryn Hill, Pras, the Fugees and all that. "I worked out with Warren Riker and Gordon Williams. I've recorded loads of stuff but it's never been released."